The little things in life tend to take over on most days. We can get up in the morning with good intentions and then the coffee spills, kids get sick, traffic accidents make you late for work and you have to work later to make up for it. We go from day to day doing what we need to do, but feeling like there isn’t enough time in the day to do all that we need to do or would like to get accomplished. But, my friends! Decluttering doesn’t have to have an entire dedicated hour each day. 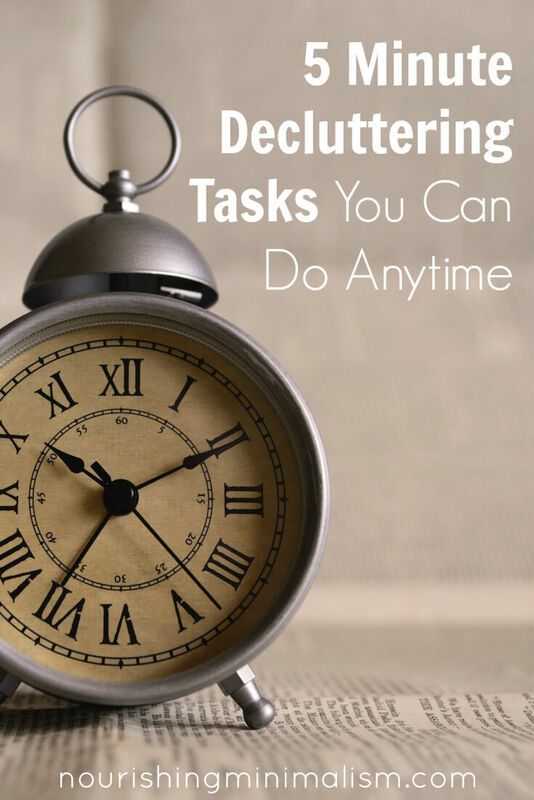 Now, one could make some serious progress if you could devote that time to decluttering, but an hour typically seems impossible to come up with in light of everyday struggles. But, you could find 5 minutes right? There are 5 minutes between homework helps in the evening with the kids. 5 minutes to do something while waiting for the oven to pre-heat. 5 minutes when waiting for family members to put shoes on before heading out the door. 5 minutes when your friend calls to chat. And 5 minutes after the kids get in bed. Those 5 minute chunks can get a lot done, when you use them with purpose. 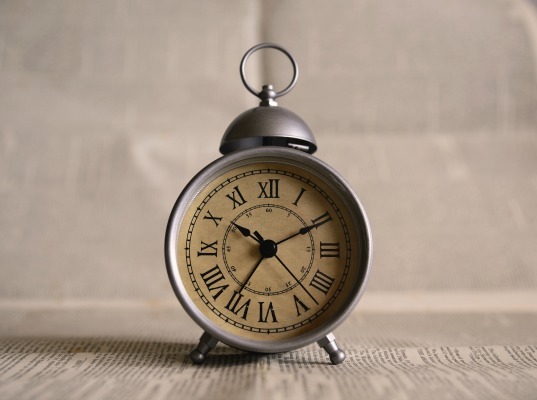 And if you take advantage of all those 5 minute chunks throughout the day, it’s very likely that by the end of the day, you will have put in an hour worth of decluttering. But the there is so much clutter! How will I even know what do focus on for 5 minutes? Don’t worry- I got your back on this one. 5 minutes is a perfect amount of time to focus on small tasks. So I’ve broken them down into super-small tasks that you can focus on and get more decluttering done during your day. I’ve written them all out below, but better yet: I have a free printable chart here just for you! Really great ideas. It is a good habit to declutter something once a day. And if it just take 5 minutes, then we have no reason not to do it.